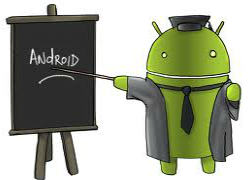 Today we are going to Discuss, Two ultimate ways to Run Android Apps On Computer with the help of BlueStacks & YouWave applications software but before discussing that,question arise, Why we need Android on our PC if we could enjoy that on our SmartPhone.But You may be Knowing that Android is so poplar, because for its cool & useful “Apps & Games” like Wechat,Whatsapp,temple Run and many more, which is supported by Android platform only.Thus Why,In this post we will tell You, How we could enjoy all these android Apps & Games on our computers and laptops. There are many ways to Enjoy Android OS or their cool Apps on our PC but in this post,We have limited our discussion over Two most poplar ways,First by using Bluestacks and Second with the help of Youwave application which actually install’s a virtual image of Android 4.0/Andriod 2.3 on our PC. Starting with the Most poplar Application Bluestacks,First Get it From Here . Bluestacks allow us to Run Many android apps and games on Window’s and Mac OS X platform very easily & comfortably but don’t get confuse, It will not going to install any Android OS on your pc.This software comes with a simple Interface with Four navigation My Apps,App search,Top charts and 1-click Sync buttons & by using App search you could find your Android Apps which You want on your pc but first you have to login to your google account and then it well search google play store.You could install any android apps or game on bluestacks and enjoy it on your pc.Well you could also use Whatsapps for sending messages to your friends through bluestacks apart from this Bluestacks also allows You to sync apps from your smartphone to PC and vice versa through 1-click Sync button. Well this is an Amazing software to have, As it’s install’s a virtual Android OS Image on our pc,First Get it From Here. Youwave for Android is an android emulator which is supported by window’s platform or You could say it’s a Mirror image of Android Os on Your pc which could be really useful if you want to experience Android interface without buying an android smartphone.Like Bluestack it could also Run Many android Apps & Games with great user experience and comfort but it would not support apps with ARM native code,Requires hardware sensors,require Flash or use cloud source APIs. Note:If VirtualBox is installed on your pc, YouWave can only be installed on Windows guests, not on your host machines. Please do not install YouWave on the host machine unless you have VirtualBox uninstalled.Its not a free software,You have to pay after 10 days of trial. We hope that you get benefited from our methods to Enjoy Android Apps On our Windows PC,We will be happy if you share your view’s with us while Using any of the Application mentioned in this post and don’t forget to like Us on our offical facebook page to remain updated with us.